Please Note: Booth locations for sponsorship package participants are assigned at time of payment. Early registration/payment is your best chance to secure prime event location for your company. 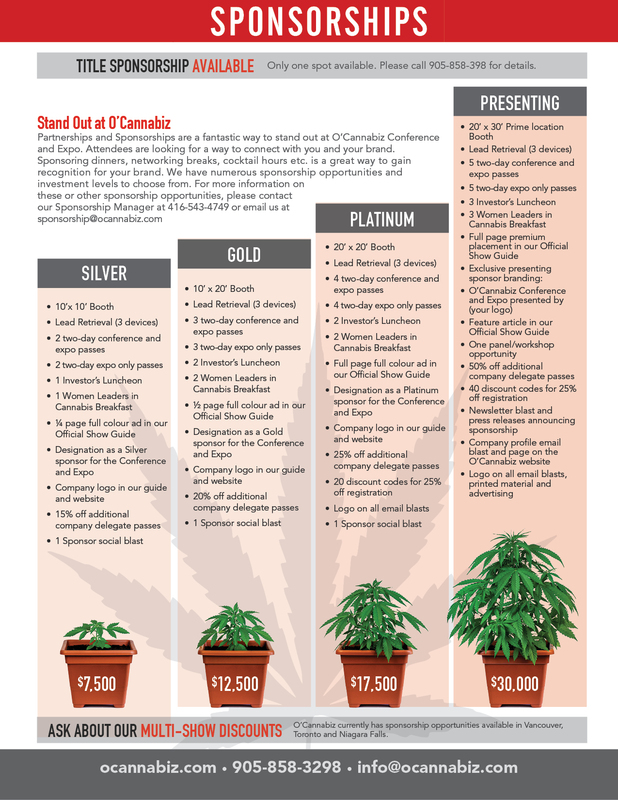 O’Cannabiz Conference and Expo is a cannabis industry show. Cannabis in any form is not available at this show. You must be 19+ to attend. If your brand has a specific objective, we can help your marketing strategy by honing in on one or a series of specific sponsorship elements. Let’s get this conference started with the hottest spot on the strip. Mingle with O’Cannibis speakers, sponsors and VIP delegates. Limited capacity. This exclusive event is invite only and has a limited capacity. Get up close and personal with the who’s who of the Industries experts, movers and shakers. The one-day pre-conference workshops is great opportunity to attract people that are new or just learning about the industry. For Delegates only. 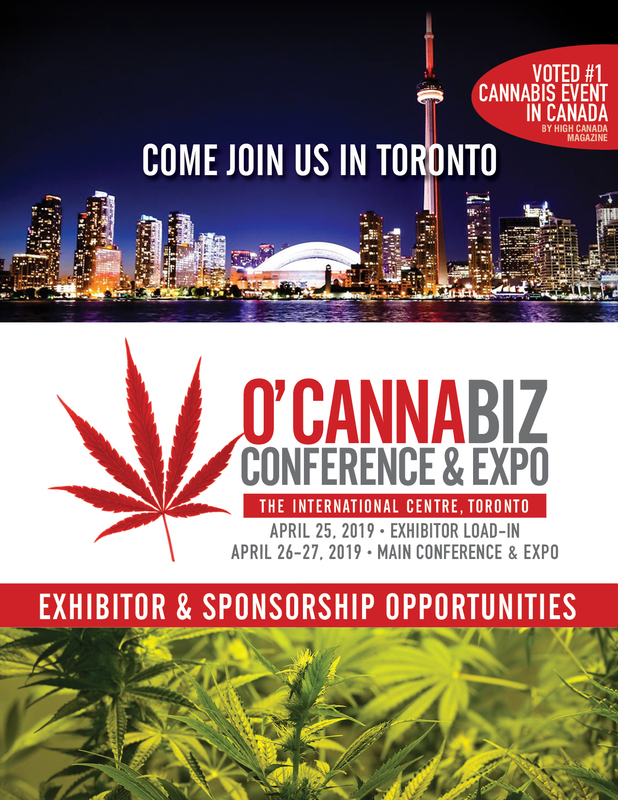 Sole Sponsorship – Includes: Table-top signage, Company logo on O’Cannabiz Website and Official Show Guide and Two (2) Easel Signs provided by O’Cannabiz (Sponsor responsible for cost of food and beverages). Two (2) available. Friday or Saturday. 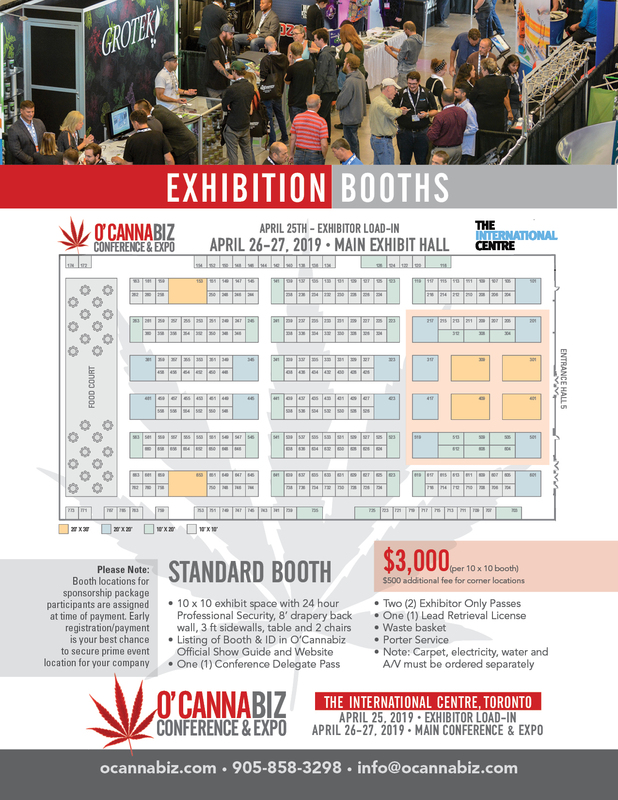 The ultimate year-round branding opportunity, the O’Cannabiz Tote Bag is one of the most visible items seen at the conference and expo. Distributed to all attendees upon their arrival and often used for the rest of the year. (Banners start at $3,500 per blast) Advertise in one of our email blasts that go to the top industry insiders. Brand our Main Stage which will hold sessions throughout the day April 26 and 27 on the Expo Floor. Brand our Live Demo Stage which will hold sessions throughout the day April 26 and 27 on the Expo Floor. 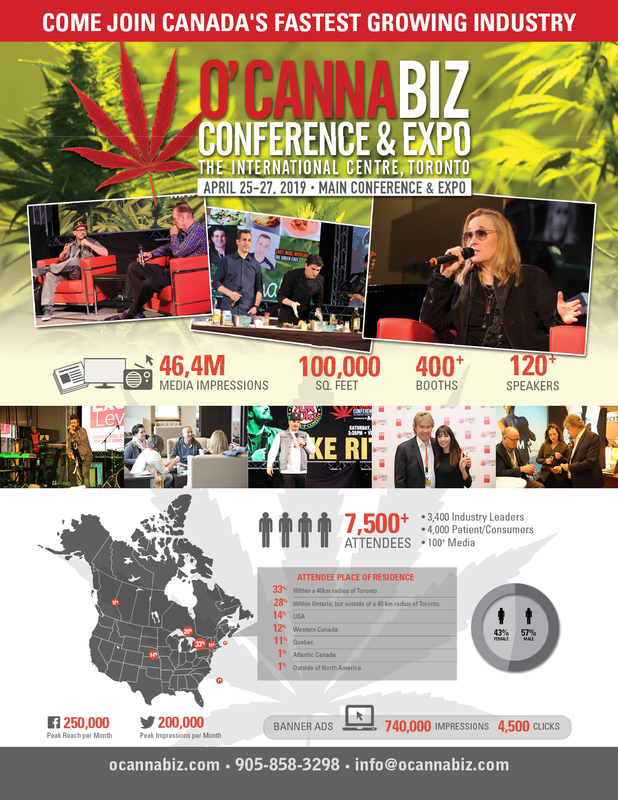 The ultimate “awareness” opportunity – the identification of your Brand /Logo around the neck of every O’Cannabiz attendee – from staff to speakers, volunteers to exhibitors. 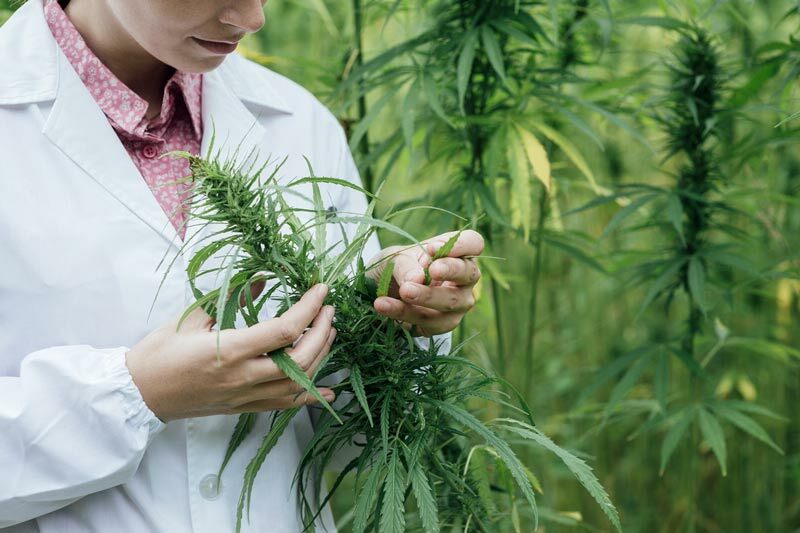 Our Women in Cannabis and our Investor networking breakfasts are our most popular ticketed events. Expect these to be sold out. Two breakfast available. Speaking Position on Friday and Saturday during the conference.